Photo shows the scene of the 32nd African Union (AU) summit of heads of state and government in Addis Ababa, Ethiopia, on Feb. 10, 2019. 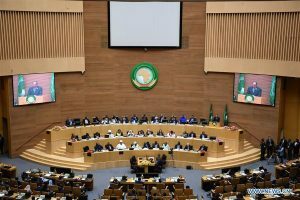 The 32nd African Union (AU) summit of heads of state and government opened on Sunday at the AU headquarters in Ethiopia’s capital Addis Ababa. 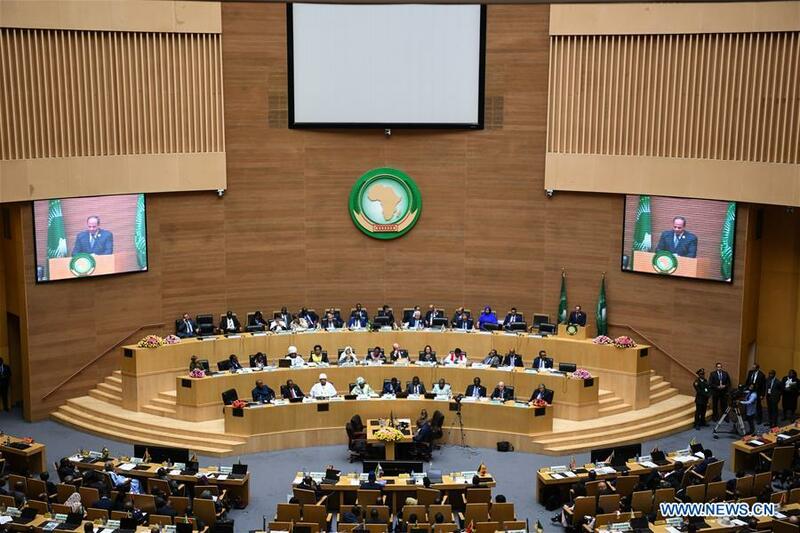 ADDIS ABABA, (Xinhua) — The 32nd African Union summit of heads of state kicked off on Sunday in Ethiopia’s capital Addis Ababa, to primarily deliberate on pressing issues of the continent such as forced displacement as well as peace and security, among others. Under the main theme, “Refugees, Returnees and IDPs: Towards Durable Solutions to Forced displacement in Africa,” the two-day session of the AU heads of state also deliberates on issues related to the ongoing AU institutional reform and continental free trade area among other continental projects and initiatives. He also noted that AU would work in solidarity and partnership with the countries of the South and the North, and within the framework of tripartite cooperation to implement the 2030 Sustainable Development Goals (SDGs), which are in line with AU’s priorities.